'*Let There Be Light *' by Paul Marcus - DPC Prints! Fiat Lux (Latin for "Let there be light") is the motto of the University of California, Berkeley. 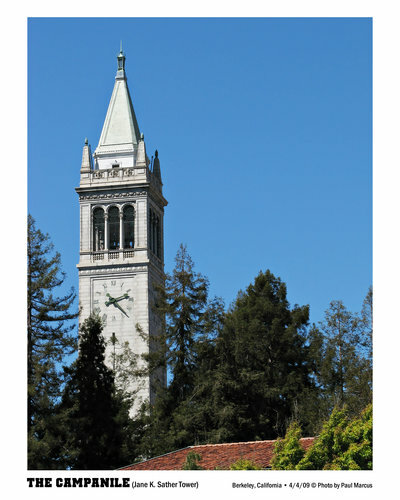 Sather Tower, commonly known as The Campanile, was donated by Jane K. Sather, and houses a carillon currently comprised of 61 bells, covering a range of five octaves. This photograph originally appeared in the Postcard III Challenge.